6 Holiday for a Stress-Free Meal! The holidays are upon us and if you are hosting a family meal at your house, it can put on the pressure and be very stressful. But, the holidays are all about unwinding, relaxing and enjoying good food and great company, right? Of course they are! That is why I am sharing these hacks that Executive Chef Daniel Craig from the Delta Toronto has come up with that will make your holiday meal–stress-free! First thing is first, plan out what needs to be done and see what you can prepare a few days in advance so that all you need to do is cook and serve on the big day. Make a menu, write out your shopping list and head to the store early. Making mashed potatoes? This is a dish that can be made in advance and reheated without compromising flavour. 2. Get Your Turkey De-Boned! It is often something that we don’t think about but, something that can truly save you a lot of time. De-bone your turkey before cooking or go to your nearest butcher to help you out. This turkey hack will cut your cooking time in half and give you a lot more time to cook everything else on your list! 3. Your Oven Isn’t the Only Thing That Cooks! There is nothing more frustrating than having to juggle all your recipes on a four-burner stove and since we’ve been experiencing warmer than normal temperatures this year, why not use your BBQ for a dish or two? Veggies are a great side that tastes amazing grilled! Maybe even give your slow cooker a try for a great stuffing, vegetable side or even a dessert! I know when I am hosting a dinner, I always want to impress! That often leads to trying new recipes and though sometimes it can be a hit, it can also be a disaster most times. Sometimes thinking out of the box invites unwarranted stress and possible panic if all doesn’t go well. Stay within your comfort zone and make a tried and true recipe that never fails you! 5. It Doesn’t Always Have to be Festive! Traditions exist for a reason and while the traditional turkey dinner is always a nostalgic favorite, your guests are likely attending more than one holiday dinner this season. That means they’ll have had their fair share of turkey and stuffing induced comas. Don’t be afraid to serve up some ribs or whip up your famous mac and cheese! Mix it up a little, your guests will thank-you. When you’ve cleared your list and have prepared everything, it’s hard to keep the food hot. Use the oven or microwave to heat up your serving dishes before you put the food out. Heating the dishes up will help them hold their temperature for much longer. That way, your guests will have food that is just right! These hacks should help you have a stress-free meal during the holidays. Once the guests enjoy their meals, good food and drink are served and many laughs and memories are made–its time to keep the relaxation going! Why not get away for a day or two? You deserve it! Delta has a great deal for hockey fans during the holidays, where guests who book for Dec. 27, 28 or 29 can enjoy a fun-packed evening with your whole family. Breakfast included in SOCO Kitchen + Bar. 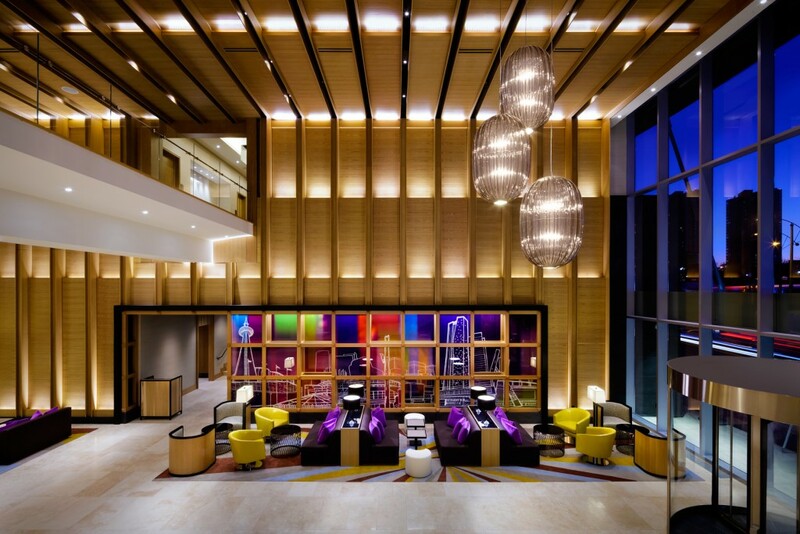 FREE Hockey Hall of Fame tickets to the first 100 guests who book this room! BONUS: Book your room today for a chance to win a pair of tickets for the NHL game Leafs vs Islanders on December 29 at 7.00pm at the ACC! 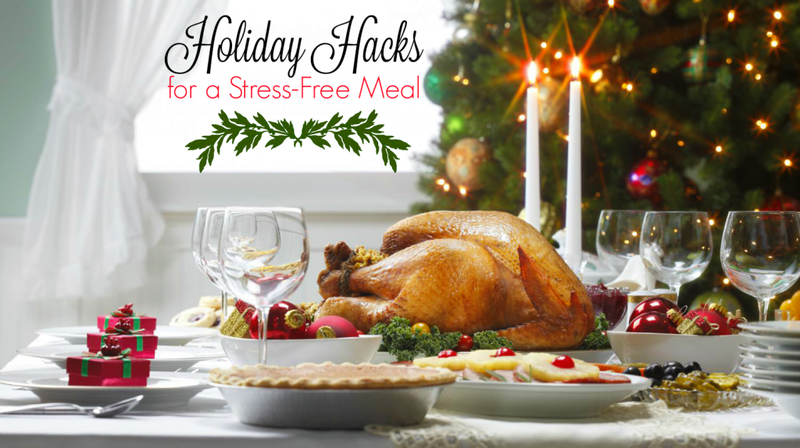 What hacks do you use to have a stress-free holiday dinner? It will be nice and warm here too! It is a great idea. These are great tips. My husband is in love with his grill, so I think grilled veggies should be making an appearance this year. Who doesn't need help with a stress free meal? Thanks for sharing the wonderful tips, I especially like #3! Thanks! It can make a big difference! I love all these ideas. We love our barbecue down here, so I think a Christmas barbecue pulled pork platter would be the coolest. Getting a de-boned turkey is a must and definitely a time-saver. I love your advice about grilling veggies. I may have to do that this year! It is nice enough to do it! These are totally great tips! I did a party last night and it was tiring some of the steps could've really helped. These are great tips. THe one issue at my MILs house is that she never heats things up before placing on the table. So while the meat is done 20 minutes before the rest of the food, it sits and gets cold while she is baking the rolls and cooking up the other side dishes. I love the idea of quickly reheating things before setting it all out. I like my food warm! My husband makes our holiday meals. I am a huge stress pot so there is no way I'd be able to get through it. These are some great and helpful hacks! I need some hacks as I am hosting New Years Eve! And yes the gril is awesome for veggies! Especially with the weather we have had! Thank you for such great tips! I would never have thought to put some of my veggies on the grill! Genius use of space! These are really great tips! Especially the one to 'take a break'! lol. Thanks for the ideas! Yes, it is always great to get away! Great tips! The holidays can become very stressful. I love using the slow cooker as well. That can help a lot during the holidays. I have to keep number 5 in mind. It might be fun to change things up a little bit this year! I love these holiday hacks. I have never thought to get my turkey deboned. will have to give a few of these a try. It definitely makes a big difference! These are really great tips. I always make a game plan out before hand so I can feel organized and ready! Great ideas. I don't usually host the party, so I don't worry about cooking much. Maybe one day. Those are great hacks! I would have never thought about getting my turkey de-boned! One of my favourite tips is PREP the night before – which is what I'm doing tonight! I have a crock pot chili in the fridge just waiting for me to put it on tomorrow morning!! 🙂 Thanks for these ideas and HAPPY HOLIDAYS! Thank you for the great tips! I like to prep lots the night before. I get the Turkey stuffing done and candy can cheese cake ready the night before. I do my tourtiere in mid December and freeze them. I also use a electric Roaster for the Turkey. These are excellent tips too! Thanks for the great tips this year i am going to be doing things sooner than later.I am having a stress-free holiday this year.